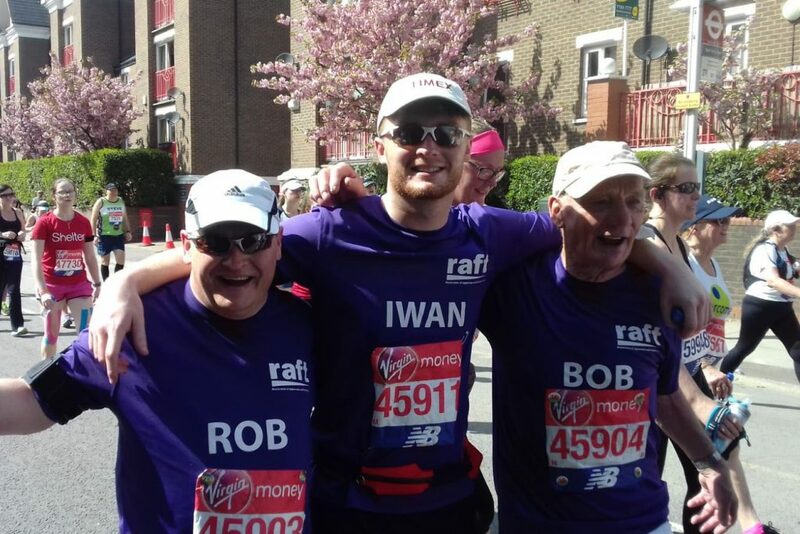 RAFT runners Nicola Seed, Sarah Ellis, Jamie Adams, Sophie Mason, Christian Dahlskog, Steven Hiltermann, Iwan Fesnoux, Bob Jenkins and Rob Jenkins successfully completed yesterdays London Marathon, which was officially the hottest on record. Temperatures of 24.1C (75.3F) which were recorded in St James’s Park but runners were warned it could be even hotter on the course because of the heat absorbed by the roads and from other competitors. RAFT is hugely grateful to all of the runners; not only the huge effort on the day, but the for the investment they put into their preparation and fundraising in the build up to the event. The money raised by this fantastic team of runners will play a vital role in allowing RAFT to continue it’s life changing medical research.